6 Towers of Saudi Arabia Company, Nozha St.
What Is Botulinum toxin® Cosmetic? Botulinum toxin® Cosmetic is administered by a healthcare professional as a simple, nonsurgical treatment that is injected directly into the muscles between the brows. It works by blocking nerve impulses to the injected muscles. 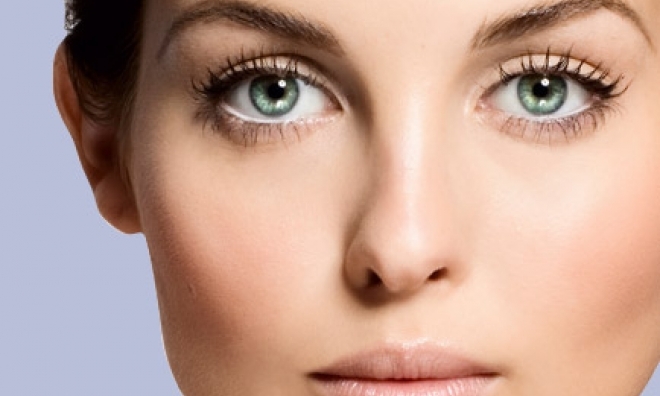 This reduces muscle activity that causes moderate to severe lines to form between the brows. With real, noticeable results, no surgery and no recovery time, there are many reasons why Botulinum toxin® Cosmetic has been chosen by millions of women and their doctors. 92% of 303 patients surveyed were satisfied with the results of their Botulinum toxin® Cosmetic experience. Is Botulinum toxin® for me? Young to middle-aged men and women or those between the ages of 18 and 70 who would like to temporarily improve the appearance of frown lines, crow’s feet or forehead lines may be good candidates for Botulinum toxin® treatment. A consultation with a cosmetic surgeon will help determine if Botulinum toxin® is right for you. Botulinum toxin® injections offer dramatic results that are fully apparent within five to seven days. In clinical trials, nearly 90 percent of the men and women surveyed rated the improvement in their brow lines as moderate to better. For many, Botulinum toxin® virtually “erases” these lines. Results may vary for each person, depending on the severity of wrinkles and the strength of muscles treated. Your Botulinum toxin® treatment’s results typically last from three to six months, with most people gradually returning to their former state. Normally, your cosmetic surgeon will recommend that Botulinum toxin® Injections be repeated every three to four months. With repeated treatments, some patients may notice that the effect of the Botulinum toxin® is longer lasting. When will I see results from a Botulinum Toxin® Cosmetic treatment? Botulinum toxin® is recognised as one of the safest cosmetic treatments. Side effects are rarely serious and always temporary, which is why it is now the most popular cosmetic treatment in the world. The most common side effect is bruising. To avoid bruising don't take aspirin, anti-inflammatory tablets or vitamin E for 48 hours before treatment. Rarely a transient numbness may develop in the treated area. If you are pregnant or breast feeding the treatment is not recommended. What are the approved — and unapproved — uses of Botulinum toxin® injections? In April 2002, the FDA approved Botulinum toxin® Cosmetic for the treatment of moderate to severe frown lines between the eyebrows (glabellar lines), but it is often used off-label on crow’s feet, forehead creases and bands on the neck. Botulinum toxin® is approved for spasm of the eyelids (blepharospasm), severe neck muscle spasms (cervical dystonia) and excessive sweating (severe primary axillary hyperhydrosis). Myobloc is approved for the treatment of adults with cervical dystonia (muscle contractions of the neck). It has not been tested sufficiently in children with cervical dystonia. Dysport® is now approved to treat forehead wrinkles and frown lines. Currently, Botulinum toxin® is being studied to treat a variety of other conditions, from knee and hip osteoarthritis and temporomandibular joint disorder (TMJ), migraine headache and benign prostatic hyperplasia (BPH).